Don’t Float Too Long, I’m Using the Big Lens! Mark had pointed me to a good spot at Vancouver for evening arrivals when the summer sun has come around more to the north. I trudged to the top of the “hill” lugging my gear with me as I didn’t know exactly what to expect and what lenses would work. Consequently, I brought a selection with me. It turned out that the 500 was good for a lot of shots but, once the jets got closer to me, it was too much. For a wide-body, it was definitely too much but a narrow-body was okay until after touchdown – usually! An Air Canada A321 in the new colors came down the approach but he flared a little high and floated. He was getting closer and closer and the viewfinder was rapidly filling. The touchdown of the wheels happened just before bits of the airframe were cut off. This shot is exactly as it came out of the camera. Good lesson for some of the later arrivals. 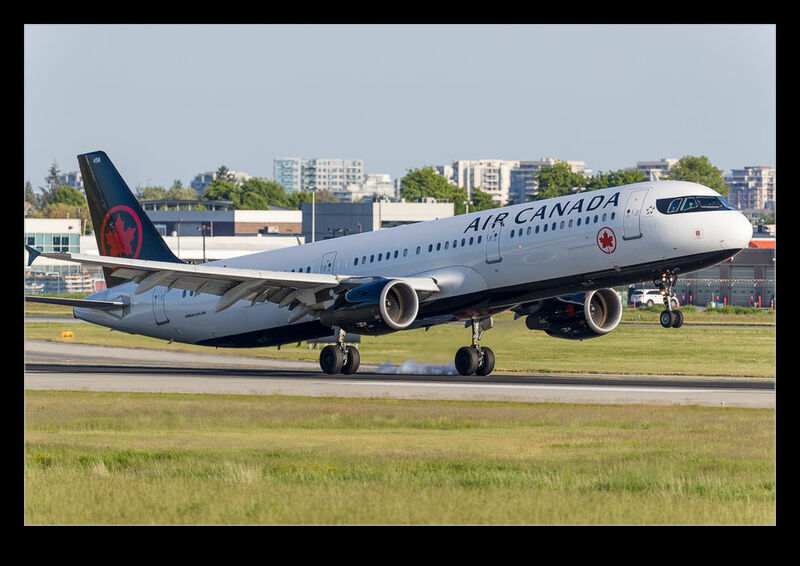 This entry was posted in aircraft, civil, Pacific Northwest, photo and tagged a321, Air Canada, Airbus, aircraft, airliner, airplane, British Columbia, Canada, civil, jet, photo, Vancouver, yvr. Bookmark the permalink.